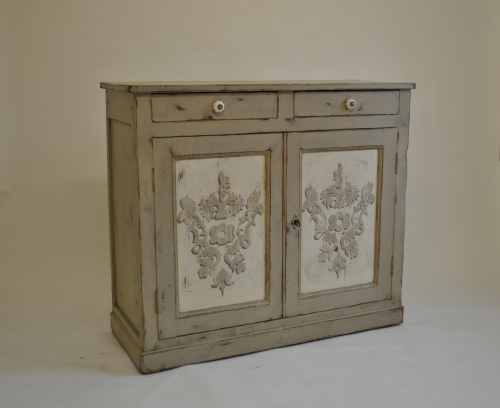 Fine 19th century French cupboard. Painted in a warm grey. Great storage piece for anywhere.